The General Prosecutor's Office came up with details about the two Moldovans held hostage in Afghanistan. Moreover, a criminal case has been opened on this. "At this stage, we only mention that unprecedented activities were undertaken for the Moldovan law enforcement bodies, some of them with a high risk. During the investigation, we consulted colleagues from other states with advanced practices for similar situations. Until now, we found several attempts of so-called involvement in release of hostages, which frustrated the competent state bodies and delayed the process of release. These implications were motivated by either material interest or other benefits, "the General Prosecutor's statement said. At the same time, the Prosecutor's Office stressed that the latest public statements regarding this involvement to delay the hostage release will be investigated. "The case is one with specific features, which implies actions with a great degree of discretion, but above all, a great degree of professionalism and responsibility, which importantly secure the two Moldovans who were held hostage. In this context, we mention that some information publicized these days by certain people are totally irresponsible. It threatens to endanger the lives of the persons held hostage, but also to compromise the special operations in progress, considering that the two persons are yet in the Republic of Moldova authorities and in complete safety. We appeal to the media to show the utmost caution and restraint in the media coverage of information publicized by unauthorized persons. It concerns the lives of fellow citizens and any inappropriate approach could cause major damage to ongoing operations. We also draw the attention of those who circulate information that could jeopardize the lives of the hostages, of the legal consequences they may have if, through their actions, they will generate a negative turn in this case. Many countries in the world have been confronted with such cases of hostage. Solving these situations has always been extremely complex and difficult, sometimes lasted for years and required the involvement of important institutional resources, but also great discretion " , notes the communiqué issued by the Prosecutor General's Office. We mentions that an official foreign ministry delegation reached Moscow yesterday and asked Russian authorities to have access and assist Moldovan citizens - hostages released from Afghanistan. Meanwhile, President Igor Dodon is trying to frustrate this, and makes desperate appeals to the Moscow authorities to prevent them from returning in Moldova with the official delegation. The statements were made by the party leader, Renato Usatîi, in a live Facebook video. PUBLIKA.MD reminds that Taliban held two Moldovan citizens as hostages after the helicopter they were aboard was captured in Afghanistan. There were 21 people including 18 Afghan citizens on the helicopter. 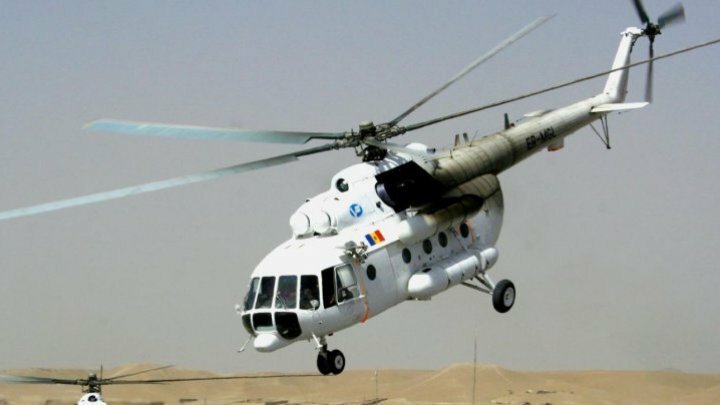 The third Moldovan was killed as the helicopter was shot down.